When John the Baptist started preaching on the banks of the Jordan River, people got very excited. He became a real celebrity. He was a spectacle in his rough camel’s hair clothing cinched up by a leather belt. He supposedly lived on locust and honey, and some may have been hoping to see how he choked down those ugly insects. However, it was his rhetoric that got people’s attention. This is an opening line guaranteed to rivet the audience to its seats. John followed up with a call to repentance that some listeners considered insulting. If John spoke on television today, almost certainly someone would take offense. There would be an outcry that John was not sensitive to the needs and feeling of some hearers. John did not worry then, and if he were alive today he would not worry now, that anyone took offense at his words. John had a message for people that was so important that he could not be bothered to be sensitive. He wanted the people to be ready to receive Christ when Christ appeared. His call for descendants of Abraham to repent of their sins offended them, but they needed to be offended, because they were guilty of looking at the world the wrong way. Dr. Rick Carlson, a professor at the Lutheran Theological Seminary at Gettysburg, says that a better way to translate John’s call to repentance is to say that John demanded a “radical reorientation” of people. People needed to turn around 180 degrees and start seeing the world God’s way. He accused them of missing God’s mark, a high mark set for them as the chosen nation, and he said that the only way they would ever hit it was to turn completely around in their thinking and their worldview. John’s message, startling as it was, was not new. God had been saying similar things to the people of Israel for centuries. Zephaniah spoke to people who were worried about their national security. Their world view was that God needed to do something and do it now to keep them from being crushed by more powerful nations. Zephaniah told them to stop worrying about that, because God already was their security. However, God’s worldview and their worldview were so radically different from each other that they would need to completely change their point of view in order to understand what God was doing for them. Through Zephaniah God said, “I will deal with all your oppressors,” and the Israelites thought, “Well, that take care of the Assyrians, and the Babylonians, and etcetera” because they did not understand that the greatest oppressor was Satan. Those other enemies were merely Satan’s way of assaulting them over and over. God promised to deal with Satan, and that victory would free the people from the real oppression they suffered because they thought life was not fair and they hadn’t received their share of the prizes. Zephaniah pointed ahead to the work Christ would do, just as John did. Isaiah did the same thing. Just like John’s audience, Isaiah’s contemporaries were thirsty. They cried out like the woman at the well for fulfilling lives and the contentment that comes when people have everything they need. Through Isaiah, God promised “water from the well of salvation.” He promised the miracle of salvation for everyone with plenty for all and no shortage for anyone. Paul, looking back at the work of Christ rather than forward, nevertheless called people to the same sort of reorientation. People need to be reminded and recalled to God’s worldview repeatedly. It is easy for us to be distracted by glamorous sights and wealthy displays and the constant message that we need and even deserve to get exactly what we want when we want it. Paul pointed people to a radical reorientation from the satanic worldview of self-worship to God’s worldview of trust in his provision. He said that the wealth others possess was not taken from anyone, and confiscating it by theft or taxation will not enrich anyone. God provides and God fulfills. Turn around and start seeing things God’s way. When you see things God’s way, you will realize what a mess you made of things, and you will tell him how sorry you are. Better yet, when you see things God’s way, you will start doing things God’s way. Look here. If you see the world God’s way your actions will change. Your deeds will do fruit God is pleased with. If you aren’t bearing fruit, then you are deadwood, fit only to be thrown on the fire. Share food, clothing, shelter — whatever you have. Be honest with people. Show that you trust God, and be willing to live within his provision. Show that you trust that God has actually already provided what you need. Stop envying other people. Stop being greedy and worshiping yourselves. Worship God and see things his way. You will be happy. Then John told them the real blessing that was coming: Christ the Lord. John made sure people knew that Christ was light years beyond his human advance man. John baptized with water that poured over people’s bodies. Christ would baptize with fire that would be the unleashing of God on the earth. John prepared his listeners for the day of Pentecost when the fire of the Holy Spirit would change them forever. Talk about radical reorientation! When I was a little girl, I loved to have company. I loved using the “good” china and the “company” glasses. I loved the fuss and the sights, smells and sounds of getting ready for people to come to our house for Christmas. I was not usually involved in the planning, so as we were bustling about, I had to ask, “Who’s coming?” When Uncle Walt and Aunt Viv came by themselves, it was easier to get ready than if there would be grandparents, other aunts and uncles, and perhaps a neighbor. The number and names of the guests determined what sort of preparation was appropriate. The arrival of Christ required very specific preparation, and God gave that task to a specific person, designated for the task before he was born. Advocates of abortion on demand speak of the “products of conception” as if they were a bag of marbles rather than a person. 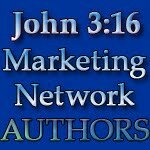 In the story of John the Baptist, the Bible reveals that the “products of conception” are not random cells to God. John the Baptist, chosen before he was ever born to prepare the way for Christ, was known by God from the moment of conception. The contents of Elizabeth’s uterus were not subject to her “right to choose,” because God had a plan for that baby. The nine-month gestation of John the Baptist was part of John’s preparation to be the fulfillment of God’s plans for the arrival of the Christ. God knew, Malachi knew, John’s father Zechariah knew, and even John himself knew, as evidenced by his response in the womb to the arrival of Christ’s mother. What did John do to prepare the way for Christ? Isaiah had said he would make rough places smooth and crooked places straight. How did he do that? He warned people that God was about to be unleashed on earth. In John’s fiery sermons people had a foretaste of the searing light of Christ flashing into the dark corners of the human spirit that fake religiosity had covered up. In John’s admonitions, people were forewarned that God was tired of empty ritual and ceremony that diverted attention from self-worship manifested in oppressive and dismissive cultural practices. John stirred people’s hearts and made them ask, “What should we do?” as the people in Jerusalem would later ask on Pentecost. In response, he offered them baptism in water, even as he prepared them for the baptism of fire that would come on Pentecost. Most of us prepare for Christmas by seeking out an opportunity to do something kind for the poor or the sick. We give food or we give money to buy food. We buy an extra jacket or pair of shoes and take it to a shelter. We put money in the Salvation Army kettle. We take an angel from the tree at church and buy gifts for a prisoner’s child. These are all good things to do, and these are kindnesses that Christ blesses in his service, but the truth is that anybody can do these things. Many people who not only don’t believe in Christ but who actually campaign to shut down the message of Christ still do kind deeds at Christmas or at other times. We who are preparing for the arrival of the Christ-child need to do something at Christmas that only a Christian can do. We need to be ready to share Christ with every heart God is now preparing to hear this Word. When we are in the store and elbow to elbow with other frantic shoppers, if there is a conflict or a confrontation, we need to share Christ. Everybody can share food, but only a Christian can share Christ. These days, when everybody is stressed out, I say, “The peace of Christ be with you,” as I take my receipt from the cashier in any store. I count on God to have prepared the hearts who will hear the words I say, and I count on God to carry those words to the ears that need to hear them. I may also say “Merry Christmas!” but you know and I know that those words are not a testimony to Christ’s saving power. 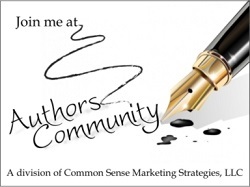 They have become a social mantra that many people say with no testimony intended. Before I go shopping I prepare to do something for the people I meet that only a Christian can do. What is God preparing you to do for Christ this Christmas? You are unique. Just like John the Baptist, God knew your name before you were born, too. God already had plans for you before you said your first word, and he has been preparing you all your life for the fulfillment of the gifts and talents that are uniquely yours. You can do something in service for Christ that no other person can ever do. As you think about preparing for Christmas this year, think about what God is preparing you to do. Ask God for a sensitive spirit to hear his call and to do his work as the opportunity comes your way. Be yourself. Be completely and uniquely you. Don’t fret over what anyone else can do. Simply speak the words or give the gift or touch the heart that is your unique mission. Just as John the Baptist faithfully served God by doing what God had prepared him to do, respond to what God is preparing you to do in a world that needs Christ more than it needs a merry Christmas. As the day of Jesus’ death approached, he packed a lot of guidance and instruction into the time he had left in the flesh. The gospel for today includes comments ranging to the end of time. A lot of people spend a lot of time trying to figure out when that moment will come, but that is not the reason Jesus said these words. When he said, “Heaven and earth will pass away, but my words will not pass away,” he meant to be lifting the concerns of the disciples out of the rut of prophetic decoding. It is easy for people to be lured into attempts to sort out the prophecies in an attempt to put the date for the end of the world in their calendars. People like calendars. The popularity of organizers and self-help books about time management attest to human fixation on taking control of the flow of time. Yes, I said control of the flow. Human beings do not like the fact that we can’t get a grip on time and slow it down or speed it up at will. Time is completely beyond our reach. Yet humans organize and prioritize and multi-task endlessly in an attempt to control time, anyway. The fact that nobody knows when it will end is distressing. How will we ever get everything done by then? Jesus wanted people to know that his message transcends time. If time is out of control, his word is true. If time is over, his word is true. We don’t need to know when time will end. It is irrelevant to his claim on us and our faith in him. Those words have two additional values for Christians. First, no matter what is going on in our lives, Jesus’ words do not lose their power or their relevance. When we become physically ill, we take medicine. There are many different medicines to take, and it is important to use the right one for each disease. Sadly, it is also important to use them with discretion, because some medicines lose their effectiveness with repetition. The words of Jesus apply in all places at all times, and they never lose their effectiveness. His words are true, always. Second, even if everything in time and space dissolves into eternity, the words of Christ continue to be true and relevant. Nothing that happens now or in eternity changes the message of Christ. Human project management is big on deadlines and milestones. Work must be done as required. We love projects that come in on time and under budget. For that accomplishment to have any meaning, we need to know the point at which the project would be considered a failure. Yet Christ tells us that it doesn’t matter when time ends. His call to us, his claim on us, his words to us do not change just because time ends. 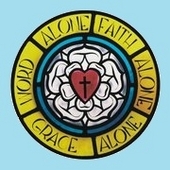 When John was given the vision he recorded in Revelation, the crucial element in the vision was the presence of the slaughtered lamb at the right hand of God in the heavenly throne room. Christ and his words are as relevant after history ends as they are today. Then why did Jesus even bring up the “end times?” His point is not to send us into a calculating tizzy. His point is to remind us that there is no time to waste. We need to be doing his will and living his way right now. We need to get started. We need to be busy doing it right now. His point was not to tell us that we have some certain amount of time to share his love with the world so we can organize our time in little packets and meet some milestone. He wants us to start sharing his love right now and keep doing it till we go to meet him through the doorway of death or until he does, in fact, return. When Jesus burst on the scene, the gospel writers record that the Holy Spirit fell on him at baptism, and after that, as he roamed the cities and countryside, he talked about “the kingdom of God” coming near. Jesus the Messiah was God in the flesh, and when he came near, the kingdom did, indeed, come near. After Christ’s ascension, the Holy Spirit fell on his followers, and in Paul’s words, their bodies became temples for the Holy Spirit. The first century Christians, and twenty-first century Christians and Christians in the future till the end of time bring the kingdom with them wherever they go because of the indwelling Holy Spirit. Our work is to be the kingdom in the midst of humanity, sharing the love of Christ with everyone we meet. We don’t look in our organizers to see if today is a “witness to Christ” day. Every day is a day for our testimony, because every day Christ’s words are true and Christ’s love is relevant. It isn’t easy to be faithful. People resist Christ’s words. People resist Christ’s love. People actually become angry when we bring the kingdom of God near. Jesus had the same experience. He brought the kingdom near to the scribes and Pharisees, and they conspired to crucify him. We risk the same fate. Sometimes the resistance is mild, as when someone told me recently that I should not be talking about religion in a conversation about what government ought to look like. Sometimes the resistance is fierce, like when Nigerian church members were ambushed as they left church one Sunday; some were killed, and many were wounded, just because their Muslim neighbors resented the existence of a Christian church in their neighborhood. We must be prepared for people to be upset or even violent in reaction to our faithful testimony. Is Jesus a king? After Jesus had been betrayed and handed over to the religious leaders, they held a mock trial and sentenced him to death. Forbidden by Rome to execute anyone, the religious leaders handed Jesus over to Pilate for execution. Challenged by Pilate in a last-ditch effort to avoid execution, the leaders shouted, “We have no king but Caesar!” and watched Jesus handed over to his executioners. The scene with Pilate is famous because of a ridiculous question Pilate asked in order to avoid responsibility for what he was about to do. Pilate asked Jesus some questions which Jesus answered, and then Jesus said, “Everyone who belongs to the truth listens to my voice,” to which Pilate responded, “What is truth?” He didn’t ask because he wanted to know the answer; he asked, because he did not have the courage to deal with the answer. The truth was that he could clearly see that Jesus was no criminal. Pilate could see truth and grace and even power in Jesus, but Pilate could also see that the population of Jerusalem was likely to explode if Jesus were allowed to live. Pilate’s problem was that he could not handle the truth. Lots of people cannot handle that truth. People who go to church and hear the gospel preached Sunday after Sunday often claim that that they “didn’t get anything out of it.” They try to put the blame for their unwillingness to put Christ first in their lives on preachers who never entertained them enough to keep their attention. If they don’t like church and can’t identify with Jesus, then it is due to poor customer service by Christian leaders. They can’t handle the truth, so they blame the messengers. People who believe and are baptized claim their faith with eagerness, but at some point, they see a pastor who cheats on his wife, or they discover that a church treasurer has absconded with the offering. They ask a pastor to pray for a sick child, but the child doesn’t get well. A neighbor who sits beside them in the pew on Sunday lies about them to other neighbors on Monday. People fail them, and they decide that the “religion thing” is a complete hoax. Churches are full of hypocrites, and they don’t want to be around people like that. They look out and see sinners; they look inward and see only the wounds to their own egos. They can’t handle the truth, so they blame their fellow-travelers. The things some people say make it sound as if everything they ever heard about God, the Bible or Christ himself made less of an impression than Cinderella. Everything about religion, they say, is like a ghost story, and they don’t want to have to listen to any more ghost stories. They can’t handle the truth, so they re-characterize the truth to diminish its substance to that of a vapor. The truth that slapped Pilate in the face that day was that Jesus actually was a king. Pilate was so busy protecting his job that he did not dare acknowledge who Jesus was, but everything he did betrayed his desperation to finesse this problem and simply make it all disappear. He knew that the religious leaders were duplicitous thugs. He knew that if they wanted Jesus dead it was not due to their excess of piety. Yet he also knew that these religious leaders would have no qualms about inciting a riot if Pilate failed to do their will. He represented the most powerful nation on earth, and he commanded a cohort of soldiers who were willing to kill women and children without compunction at the order of a superior officer. 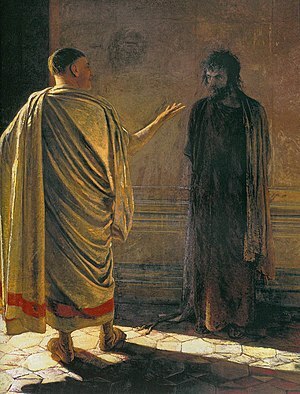 Yet Pilate’s behavior tells the reader that he was afraid of powers that could do him harm. Pilate’s words and deeds that day reveal the fear that engulfed him as he sat on the horns of a real dilemma. If he did nothing, he knew the Jews would riot. If he killed this kingly man who had already suffered unjustly, he knew that it would haunt his conscience. He knew the truth, and when he required the executing officer to post over Jesus’ head a sign that said, “The king of the Jews,” he knew what he was doing. The world is full of people who cannot handle the truth of Jesus’ kingship. The Freedom From Religion Foundation is currently engaged in yet another battle to take down a cross outside San Diego, because the Foundation cannot handle the truth. The truth about Christ is so powerful and so compelling that people cannot simply ignore it and get on with their lives. The truth about Christ demands that they make a choice – submit to his kingship or really and truly reject him. The Freedom From Religion Foundation rejects him over and over and over. Pilate tried to avoid making that choice, but it was forced upon him. Neither the religious leaders nor Christ would simply disappear. Pilate washed his hands in a vain attempt to reject the necessity of being part of the assault on Jesus, but none of his efforts to take himself out of the picture worked. For two thousand years, Christians have named him and his complicity in the murder of God’s Son every time they recite the Apostle’s Creed. For that long, every culture touched by the Bible has found some way to speak of the abdication of responsibility by a phrase about “washing your hands.” For that long, Pilate’s question, “What is truth?” has been a way of describing a situation in which a harsh truth has consequences even for those who ignore it. 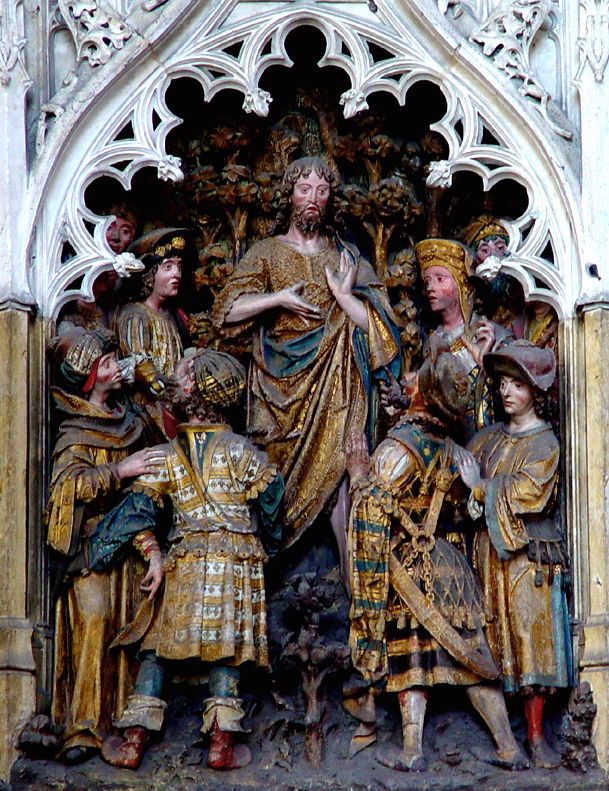 In today’s gospel, Christ does not look like a king to earthly eyes, but the gospel writer clearly sees Christ the King elevated on his throne, the cross, bearing the sins of the world and washing them away in his own blood. In today’s gospel, Pilate tries to sidestep the truth about Jesus and act as if he is just another bandit processed by blind justice. Pilate does not succeed in avoiding the truth about Jesus, and neither do we. How do you attempt to diminish Christ’s claim on you? What are your strategies for avoiding his call to deny self and die with him? Are you asking “What is truth?” or are you living in truth? Why Revere Old Temple Stones? The birth of Judaism and the nation of Israel took place at Mt. Sinai under the leadership of Moses. The instructions given there for the design of the tabernacle dictated the design of the temple in Jerusalem under Solomon. The temple was the pinnacle of Jewish teaching about God. The temple was to be the place where God resided on earth. Jesus was reinforcing a message he had already given his disciples when he rampaged through the temple throwing money and pots and tables into piles of junk. (Mark 11:15-19) Jesus had shouted on that day, “This is supposed to be a house of prayer for all the nations, but you have made it into a bandit hideout.” (translation courtesy of Dr. Rick Carlson) He completely disassembled the process by which people were to encounter God who supposedly resided in this building. Not only that, but Jesus made a mockery of the people involved. He made a shambles of the process of sacrifice, and his message that God was finished with the temple would become very clear shortly thereafter when, as Jesus died on the cross, God ripped apart the curtain of the Holy of Holies from the top to the bottom. The days of that temple on Mount Zion in Jerusalem were numbered. Did that mean that God did not want the nations to have a place to pray? Had God decided that it was hopeless to forgive humans, because they sinned continually and never stopped? The fact that Jesus predicted the demise of the temple most emphatically did not mean that God had given up on humanity. Quite the contrary. The presence of Jesus, God in the flesh, in that place at that time meant that God had absolutely not given up on people. He had given up on the temple, but he did that, because the religious leaders had perverted its purpose to their own use. Instead of worshiping God in the temple, they were all worshiping themselves. Jesus, God in the flesh, stood in front of the temple and predicted its downfall, because the people who should have been bringing others closer to God were so busy building up themselves that they had become their own God. Jesus, God in the flesh, had already said that if anyone wanted to follow him, that person had to deny self. Clearly the religious leaders were not denying self. People who would deny self and follow Christ would not engage rigged transactions that only enriched fraudulent men engaged in fraudulent behavior. When Jesus pronounced the doom ahead of the temple, he was already looking toward that day when he himself would make the only sacrifice that ever mattered and would render the temple of stone obsolete. What would replace it? Peter gives us the answer in today’s reading. Instead of a temple made of rocks piled up on a mountain, God’s temple would be made of living stones. 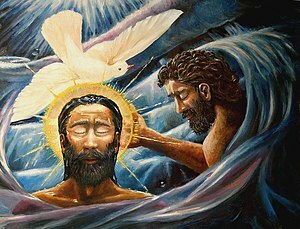 Every person who received the Holy Spirit in baptism would become a part of that temple, denying self, serving Christ, being a little Christ to a world that needed forgiveness for sin and communion with God. God’s temple would no longer be confined to a place people had to travel to. God’s temple would be walking around among the people. Jesus’ message when he blew into Galilee in the first chapter of Mark was, “The kingdom of God has come near.” When he predicted the end of the temple of stones in Jerusalem, he was foretelling how the living temples, the living stones, the little Christs who would follow him, would bring the kingdom of God near to every person they met. If you think that just getting to church on Sunday morning is fulfilling your obligation to Christ for what he has done for you, think again. Jesus did not die in order that you could go sit on a board in a building of stones. Jesus died for you in order that you could become a living stone and deliver his love to a world starving for him. You don’t want to be one of those people in Revelation described as so fearful of the real, living God that they called stones to fall on them. You don’t want to be someone who would rather be dead under a pile of stones than be a living stone in the temple of God’s presence on earth.